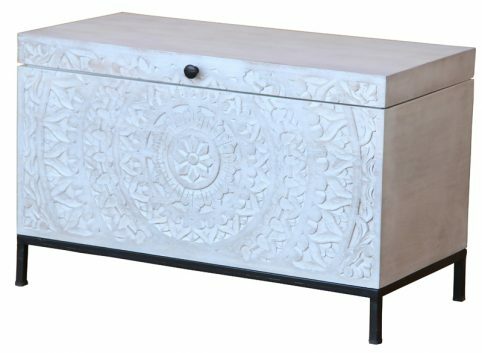 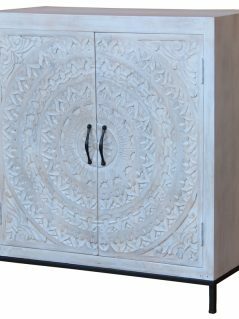 This durable bohemian range white washed / painted blanket / storage box is meticulously handcarved with intricate depictions of traditional souther Indian cultural heritage. 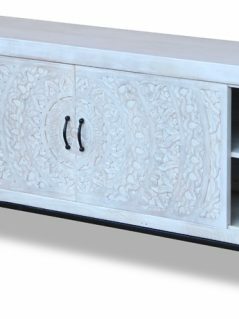 It is made of solid sustainable tropical hardwood and comes with a subtle white washed finish. 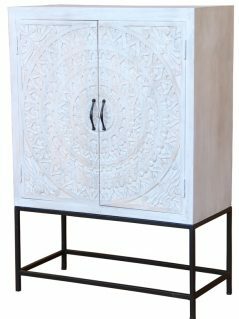 This piece of furniture creates a great storage place for all your clothing, blanket and so on. 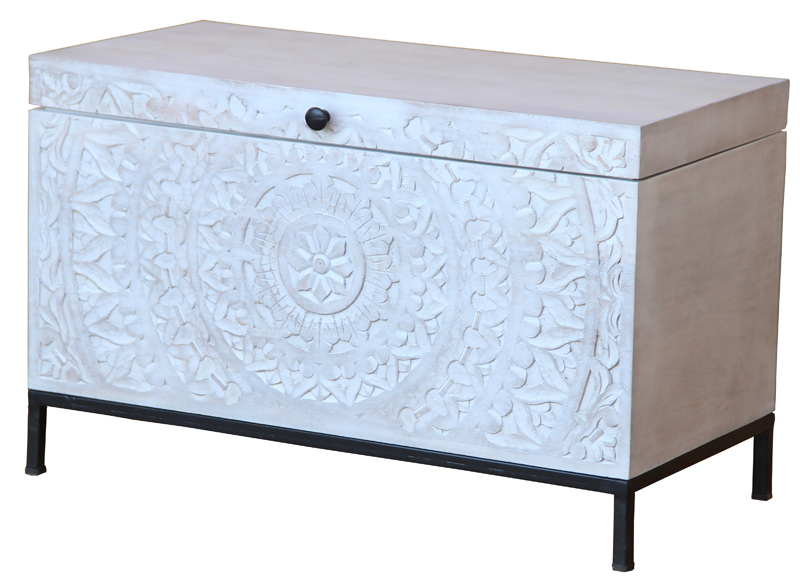 It will put an elegant touch to any room of a contemporary or traditional home.